Ms Begum (19) is nine months pregnant and living in a Syrian refugee camp. She says she doesn't regret leaving Britain, but now wants to return to give birth to her child. "Now all I want to do is come home to Britain," she said in an extraordinary interview with the London 'Times'. Ben Wallace, Britain's security minister, told the BBC yesterday that she could face prosecution if she returns there. She and two friends left their homes and families to join a fourth girl in Syria. 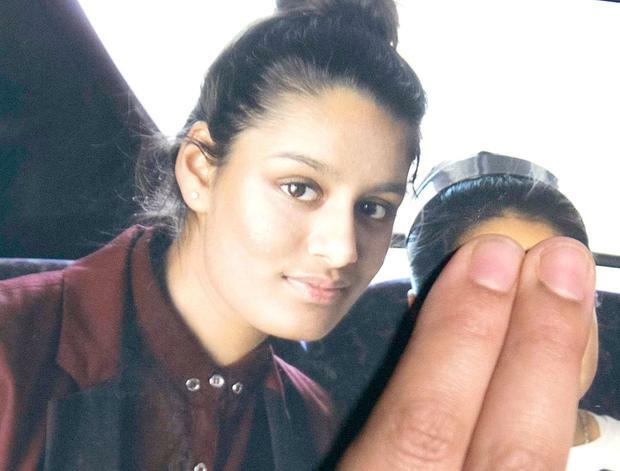 The three schoolgirls travelled to Syria in February 2015 after deceiving their parents and siblings to make the journey to join the radical Islamist network. "I'm not the same silly little 15-year-old schoolgirl who ran away from Bethnal Green four years ago," she said in the interview, adding that she had two other children who died while living in an Isil-controlled territory in Syria. She also said that she didn't regret going to Syria and wasn't fazed when she saw the severed head of one of Isil's victims. The three schoolgirls each married a foreign Isil fighter, according to the 'Times'. Ms Begum was married 10 days after arriving in Raqqa in 2015 to a Dutchman who had converted to Islam. Mr Wallace told the BBC that everyone who takes part in the conflict in Syria or Iraq must be "prepared to be questioned, investigated and potentially prosecuted for committing terrorist offences". He also said that he wouldn't put British officials' lives at risk to "go and look for terrorists or former terrorists in a failed state. There are consular services elsewhere in the region and the strong message this government has given for many years is that actions have consequences". Anthony Loyd, the 'Times' correspondent who tracked Ms Begum down in the refugee camp in northern Syria, cautioned about judging her too quickly. He told the BBC she was a "15-year-old schoolgirl who was groomed and lured to the caliphate, and four years later, with that background, she is an indoctrinated jihadi bride".